Home / General Information / No. Nope. Nah!! 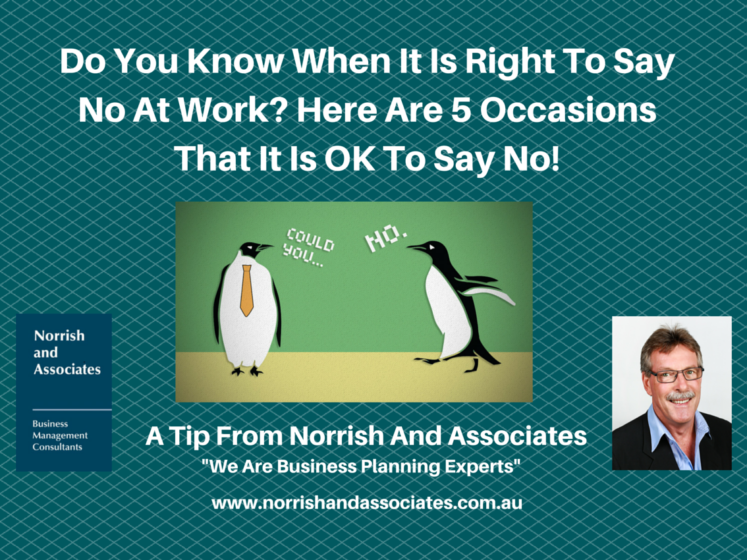 Here Are Five Times It’s Totally OK To Say No At Work! Want some less personal stress in the office? Sounds nice, doesn’t it? One way to make that happen is to stop saying “yes” to everything. It’s great that you want to be the reliable colleague who swoops in and saves the day when someone needs something from you, but this can also be a recipe for stress overload. We’re not telling you to stop saying “yes” all the time (that wouldn’t go over well with your boss), we’re just recommending that you become more comfortable saying “no” in certain situations. To help you out, Kat Boogaard has made a list of some of the times it’s completely appropriate to say that powerful little word. Click this link: – No. Nope. Nah! !